. ببساطة كل الخدمات وأساليب الضيافة التي تشتهر بها Accor Hotels تجعلك تشعر وكأنك في بيتك. يقدم الفندق خدمة التنظيف يوميًا, مجهز لذوي الإحتياجات الخاصة, مرافق مخصصة لذوي الاحتياجات الخاصة, تخزين الأمتعة, واي فاي في المناطق العامة لضمان الراحة القصوى لضيوفه. 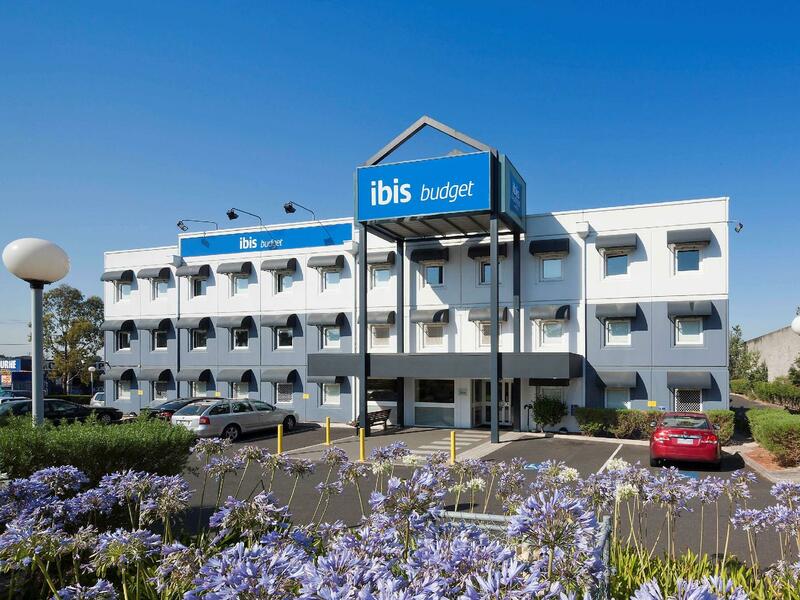 في ibis budget Dandenong Hotel غرف نوم يزيد عددها عن 71 صممت بذوق وعناية لتوفر لك كل وسائل الراحة . بعضها يحتوي أضاً على تلفزيون بشاشة مسطحة, اتصال لاسلكي بالإنترنت, مكيف هواء, تدفئة, مكتب. يقدم الفندق مجموعة واسعة من وسائل الراحة المتنوعة، كمثل: حديقة. يحظى فندق ibis budget Dandenong Hotel بموقع ممتاز وخدمات يصعب منافستها. يُرجى العلم أن مكتب الاستقبال يفتح أبوابه من الساعة 7 صباحًا حتى 10 صباحًا، ثم من 12 ظهرًا حتى 10 مساءً خلال أيام الأسبوع. يُرجى العلم أن موعد تسجيل الوصول من الساعة 12 مساءً حتى 10 مساءً. في حالة الوصول في غير هذه المواعيد، يُرجى الاتصال بالعقار مباشرةً. I stayed at the Ibis Dandenong for 5 weeks while house hunting and I was pleasantly surprised. The room although small was all I needed and the bed was the most comfortable I have ever slept in anywhere in the world. I'd definitely stay here again. Travelled with my family members at Dendenong. Located nearby Dandenong Ranges and not so far to Puffing Billy at Belgrave. Small room yet comfortable room with well-equipped with fridge and TV. Will come back again for sure! Hotel that disappointed me. I had ask the staff, is there any staff help to carry the luggage, cause we are come with parent, the way of the staff reply me is rude, : saying that this is budget hotel, don't expected this. when check in to the hotel room, I'm shock that the room for three person stay is same size of two person stay. We are unable to open three luggage on floor at the same time (the free space for walking is much limited). Lastly, I had booked for 3 days 2 nights stays. However, on the second day, after i visit melbourne city and back to hotel abt 11pm (the counter had closed) my door key unable to open room door. Shock me, and we call the hotel staff and understand about what's going on. The staff told us that we had booked for 2 days one night only. Hence, the key is lock. Quickly, we checked our booking, we paid for 3 days 2 nights. This is bad experiences for us. the staff should acknowledge us, if they found that out personal belonging in room before lock our key! I booked this hotel as it is kind of the cheapest choice on the highway from Philips Island and it is not too far away from St. Kilda. Light breakfast is optional at the lobby area. Staff is nice and smile. Thank you for your review , we hope you enjoyed your time here in Melbourne. We look forward to welcoming you back. Overall I would say Ibis Dandenong is doing good for a budget hotel. Clean hotel with basic necessity. But you can hear the traffic from the outside but it did not disturb my sleep though. 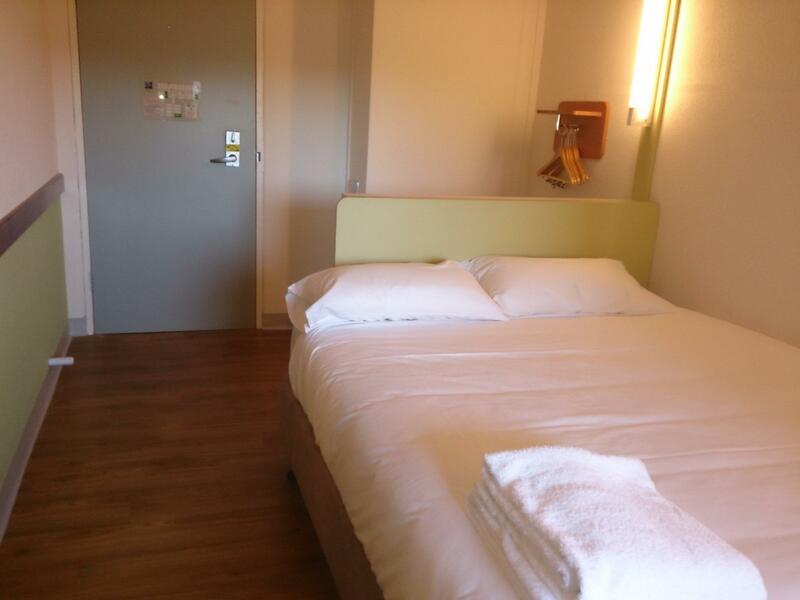 What is important, Ibis Dandenong is a clean budget hotel. It is basic, budget accommodation, so you expect the standard to be lower than the competition. I still thought it a little pricey for what you get. Very little room for luggage and storage, kit bathrooms that include toilet and shower, with the basin on the other side of the room. However, fresh towels available every day if you require. Will stay there again as it's a lot cheaper than anywhere else, but this time I will know what to expect. It is very basic, cheap accommodation. Small rooms with very little hanging space, little floor space for bags, noisy old aircon/heater, flat pillows (no spares), thin doona with no cover placed between 2 sheets, mould in the freezer section of tiny fridge. Staff member at night wasn't helpful, but manager on in the morning was very obliging! (Many thanks for that.) Good security, dark rooms at night and blocks out noise well - it is on a major highway. Will stay there again as it is a lot cheaper than everywhere else in the area. 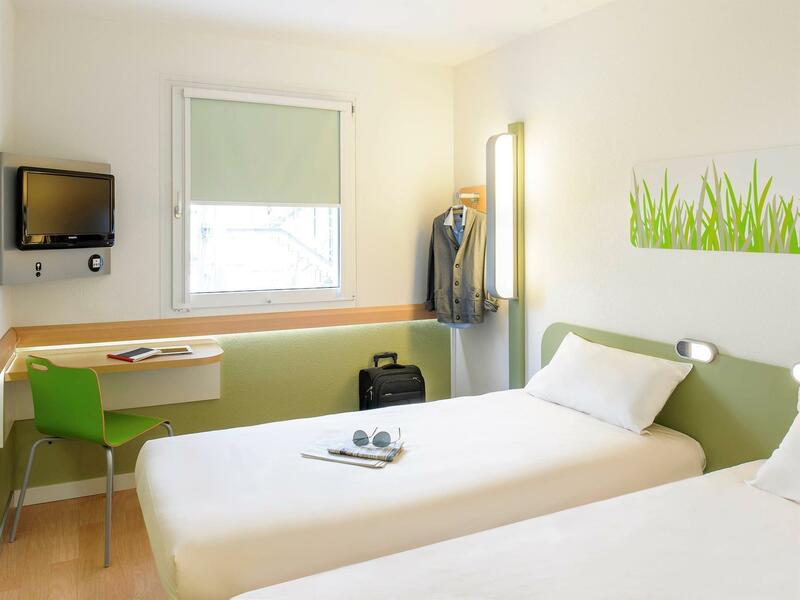 Overall my stay was good, the Manager was understanding to my needs, the rooms were clean, quiet & comfortable, there was no road noise from the highway, unfortunately staff would park in the disable car spaces but there is plenty of parking.. Stayed overnight on route from Philip Island to Melbourne. Standard budget hotel. Occupied mainly by male travellers. Truckies used this hotel too. No lifts so had to climb 3 floors with my luggages. It was being renovated when we stayed. This is a very basic budget oriented hotel. If you have wheels and want to go the el cheapo's way, this is it! Clean sheet, Warm Bed, Hot Shower + On-Site Parking, No Fuss. Except for one, the wall mounted Air Conditioning Unit doesn't really work, it does blows a li'l hot air, but doesn't warm the room up. Therefore, the only solution you have is slide into the cold bed and warm it with your own bio-thermal facility, go green! (PS: your feet might take longer or forever depending on the quality of your facility) On-Site Parking is a Plus, but it's a long way into the city (45mins+)(driving within local speed limits, googlemap estimation is out) No Breakfast (a private en-suite in a backpacker usually comes with breakfast, but this is a backpacker with a 'hotel' in it's name, so no breakfast, your choice: pay extra or head down to McD [it's about the same price], again, it's your call! Spent a few evenings here- sufficient free parking spots, small lobby reception, close proximity to parks, stores, and car dealerships. I had my flight delayed, gave them a call to tell them about it. The staff was there to let me check-in at 2 am in the morning. Stay here for a night. Location is quite far away from Melbourne CBD and still room fees cost AUD 90 / night. By far, the cleanliness is fine. Staff is friendly and room is good. Very friendly staff, hotel room very clean, change towel everyday and easy to find the place.